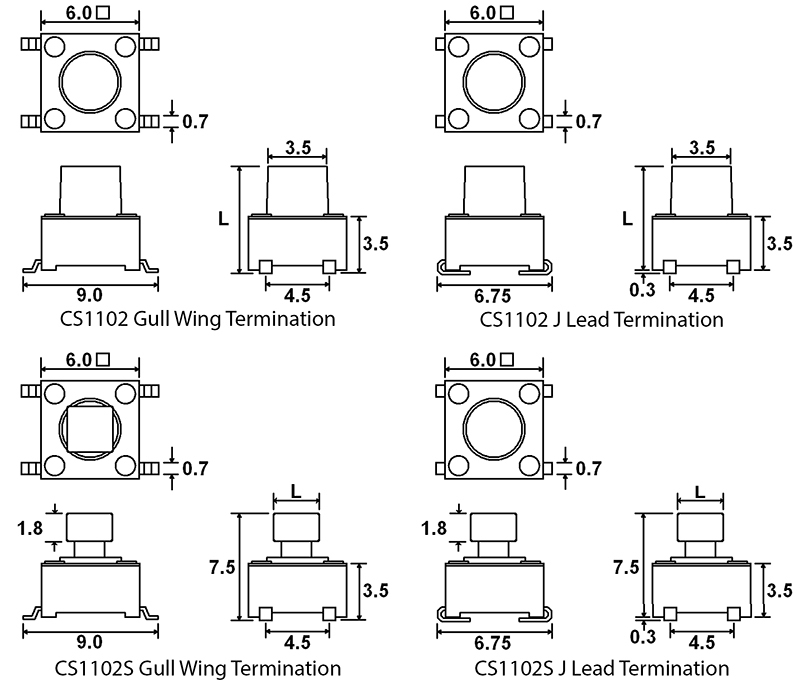 The CS1102 tactile switch offers both gull wing and J-lead surface mount termination with a square 6mm body. Momentary with SPST poles, the CS1102 offers actuator lengths ranging from 4.3mm up to 9.5mm with two square head options too. 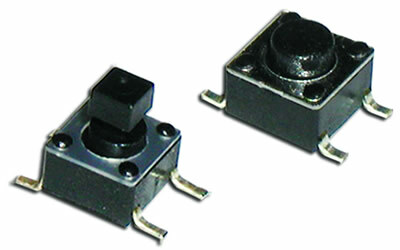 Multiple cap styles in various colors are available, with actuation force options of 100gF, 160gF and 260gF.